Ettlinger melt filters are the perfect technology for processing a variety of recycled materials – with a patented principle that has already demonstrated its functionality and performance in many industrial applications throughout the globe. 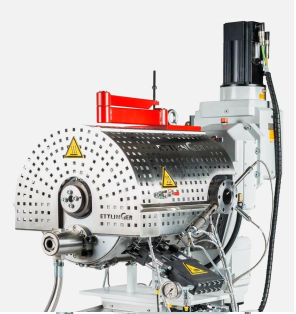 The crucial advantage of Ettlinger melt filters derives from the fact that contaminants are automatically and continuously removed by a scraper during the melt filtration process, in contrast to conventional models where the screen has to be changed regularly. The outcome: far more stable processes – and a surface that remains absolutely clean permanently – a longer machine lifetime and generally more economical production. Thanks to this technology, polyolefins with a high contaminant level can now be filtered extremely efficiently and reliably. The Ettlinger Rotation Filter (ERF) made its debut in 2004 and has been continuously developed and improved ever since. It basically consists of a rotating cylindrical screen, a scraper and a rotating exit screw. The ECO melt filter was launched in the market in 2014. 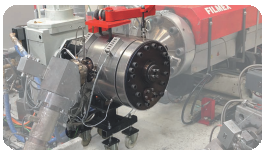 Although based on the same operating principle as the ERF, it features a modified discharge. As a result of this, the filter is also suitable for PET or polyamide applications.